Julian Simon’s name does not mean much to many Christians today, but it should. 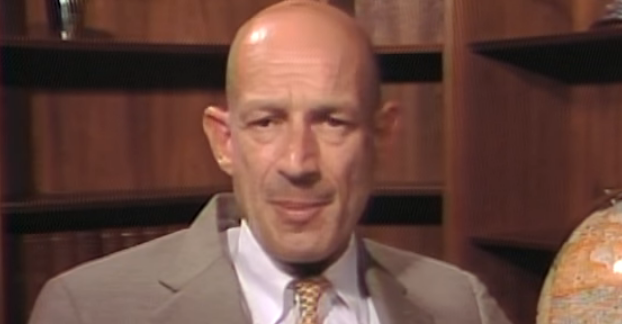 Since Simon’s death on Feb. 8, 1998, 21 years ago this week, those who follow “the dismal science” of economics continue to study him, but most of the rest of us…well, not so much. Chuck Colson mentioned him often, in large part because Colson and Simon, though different in many ways, both believed in the inherent dignity of the human being, a belief that needs recovering now more than ever. Colson also understood his genius in promoting unpopular ideas in the public square in ways that attracted not just attention, but adherents. For example, in the 1960s and 1970s, conventional wisdom was that the global population was growing so fast that the world was headed toward disaster. Paul Ehrlich’s alarmist 1968 book The Population Bomb predicted mass starvation as a primary feature of global catastrophe – all to occur by the 1970s. The book sold millions of copies and helped fuel the drive to legalize abortion. It set in motion massive United Nations and government programs to limit population growth. Ehrlich also predicted that price of raw materials would skyrocket as a rapacious human race caused them to become increasingly scarce. Into this conversation stepped Julian Simon. His 1981 book The Ultimate Resource said humans were not, in fact, a blight on the Earth, but – as the title suggests – the ultimate resource. He said that the human ability to invent and adapt would cause life on Earth to prosper. He said life would get better, not worse, as the population grew. Why? Because humans created resources at a far greater rate than they consumed them. To make this point, and to capture the public imagination, Simon said that if Ehrlich was right, the price of commodities should skyrocket. He publicly bet Paul Ehrlich that the price of a basket of five commodities would fall, not rise, over the course of the coming decade. Ehrlich took the bait, and Simon won this bet handily, as the price of all five metals fell. “The Bet,” as it came to be called, had a big influence on a generation of young political activists and emerging economists. They learned from Simon how to represent difficult economic principles to the general public in interesting ways. “The Bet” also went a long way toward discrediting Ehrlich’s work, and though Simon challenged Ehrlich to other wagers, Ehrlich refused. Simon’s personal life was not without challenges. He suffered from bouts of depression for much of his adult life. But even that experience was not wasted. He soldiered on courageously, eventually writing a book about his struggles with depression. Simon, who did not make much of his own religious faith, often co-labored with religionists, especially those who opposed abortion, opponents of China’s one-child policy, and those who stood against government and international efforts to curb population growth.